- Image has been rebuilt from the ground up. - All software has been updated. Currently, there is no known bugs in the latest image. If you can come out with a fix for any problems whether or not they are listed here or if you found new bugs, post them on this thread so that I will be able to patch the image and the entire community will benefit. Amazing ! will give this a go straight away : does it come with a desktop environment ? (04-27-2016, 06:09 PM)Luke Wrote: [ -> ] Amazing ! will give this a go straight away : does it come with a desktop environment ? No. Not yet. I am planning to include it in later builds. Created new openSUSE forum section and now move the thread over. (04-28-2016, 12:04 PM)tllim Wrote: [ -> ] Created new openSUSE forum section and now move the thread over. Plain wrong. Think about removing all these crap OS images from the wiki and feature max 1 or 2 OS images (maybe 3 by dropping Android support and solely rely on RemixOS). It would help. I don't think that will help. Also, not all of the images are crap. We have all these different OS images to cater to the preferences of different groups of users. We can't force the users to choose only between 1 or 2 distributions. The more distributions we can get to run on the Pine64, the better because it will allow users to use the Pine64 with minimal need to relearn on how to use the system. The more, the merrier, in this case. Everyone has their own preference, and Linux all about choice. (04-30-2016, 07:29 AM)nomadewolfThe more, the merrier, in this case. Wrote: [ -> ] The more, the merrier, in this case. Where's the point to hack together another crappy OS image if there are development tasks that need real attention? Less is more in this case and instead of producing 'just another Linux thing' real devs should start to do real work. to get the available 2D acceleration. How many users know this?! This is developer's work thrown in the bin! Next issue: HW accelerated video decoding: We have this available/useable since the Mid of March. The kernel features are ready so why isn't a movie player included that makes use of libvdpau-sunxi to get true HW acceleration? Why is 'export VDPAU_DRIVER=sunxi' missing in an approriate start script? What's the purpose of a desktop image that doesn't make use of developer's hard work to get HW acceleration running? The 'ethaddr' line must not exist in uEnv.txt when providing an OS image! The value here has to be calculated randomly on first boot and then used to provide unique MAC addresses on all Pine64 in the network. With this image you get already in ARP/network troubles when used with more than one device. At this point I already got so sick of this image and stopped testing. The other Ubuntu OS image featured in the wiki is known to contain even more mistakes. Why should this change when people start to combine just another boring arm64 Linux rootfs with longsleep's real work? There are so many unresolved issues and any further fragmentation (both 'community wise' and regarding available OS image variants) will prevent resolving them. And my main argument against any more OS image is that their announcements/documentation always suppress necessary information. If you want to do something useful look at enabling Bluetooth, build mpv/mplayer packages that make use of HW accelerated decoding (less OS images --> less packages! ), look into the HDMI issues, package the necessary fixes to GPIO libraries and so on. There's so much real work to do! Couldn't have said it better myself. There is a lot to be said for the diversity of linux, in a pure environment. Where all is OSS. We dont have that, we have a tainted environment with binary blobs we are forced to live with at this time. You can wrap every flavor of linux you want around these blobs, but what we need is a unified force trying to get a functional OS. Right now we have everyone wanting to do things their own way. Everyone wants to support pine at a different site, everyone wants a different OS. Right now linux is a MESS on this device in part due to the lack of focus. Think of it like a cup of coffee, longsleep has built a good core, functional tools etc. but we have a lot of half hearted attempts at wrapping various linux flavors around it that then seem to get dropped. Lets try to pick a distro and focus until we get the basic functionality nailed. In the meanwhile if someone wants to create a build of their own fav linux, please make sure you are going to be at least as committed as longsleep is to helping and providing ongoing support and arent creating another also-ran orphan build. 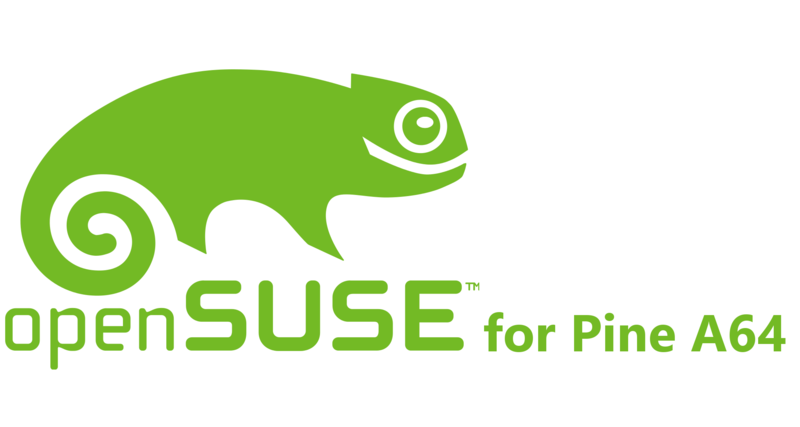 Hey guys, the openSUSE image has been updated. In the next release, I am planning to integrate longsleep's tools into the image. To do so, I will be needing a hosting provider for me to host the rpms that I will be generating out so that the installation of the tools will be easy (any suggestions? ).